University of Leicester was founded in 1921 as a living memorial to those who gave their lives in World War I. As a leading teaching and research university, there are nearly 20,000 full-time and distance learning students currently with the university. University of Leicester has over 170,000 alumni worldwide, 16 National Teaching Awards for outstanding and distinctive contributions to teaching and learning, and has been voted as the best institution in the UK for preparing students for the world of work (Association of Graduate Recruiters, 2016). Located in Salem, Oregon; Corban University seeks to educate Christians who will make a difference in the world for Jesus Christ. Through international university partnerships and study abroad programs; residential and online formats; Corban offers over 50 accredited undergraduate and graduate programs. A 13:1 student to faculty ratio, promotes instruction that fosters transformational learning and shapes a biblical worldview. This cultivates a life of stewardship and service toward God, humanity and creation. The letter “K” stands for knowledge. KORNERSTONE believes that the cornerstone of every individual’s success is knowledge, which not only collectively determines the competitiveness of a company but also of the region at large. Upholding this core belief, through providing a series of top quality global certifications and corporate trainings, KORNERSTONE strives to ensure all learning experiences with us are enjoyable and practical because we believe “Training makes a difference”! Eggshell is a global personal safety team of specialists who have designed practical workshops to equip people with real-world skills and a sharpened mindset to survive random acts of crime and terror. Eggshell’s motto is “Never Say Never. They train people to be more aware of their surroundings through the practice of mindfulness. This prepares citizens to use their skills and intuition to protect themselves and their family from dangerous situations and from criminals who won’t think twice before they cause harm. eXiLe was formed by a passionate cadre of educators, policy engineers and disruptive thinkers who believe that it is possible to bring teams from divergence to convergence through purpose-driven, well-executed professional development and leadership training. Our deep experience in policy formulation, training and implementation allows us to bring a playful irreverence to create engaging and effective training experiences that will suit both private and civil service sectors. Drs. Ken and Marjorie Blanchard incorporated The Ken Blanchard Companies in 1979 with three simple goals—to make a difference in people’s lives, to drive human worth and effectiveness in the workplace, and to help each organization we work with become the provider, employer, and investment of choice. 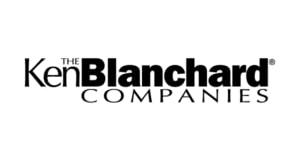 The Blanchard company offers the experience and worldwide resources to deliver efficient, scalable solutions to meet all of your leadership development and training needs. 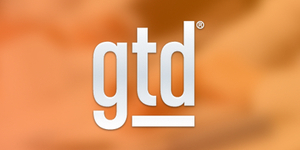 David Allen is the bestselling author of Getting Things Done, acclaimed as the “definitive business self-help book of the decade.” The GTD methodology helps knowledge workers effectively manage the complexity of their responsibilities with more clarity and focus. 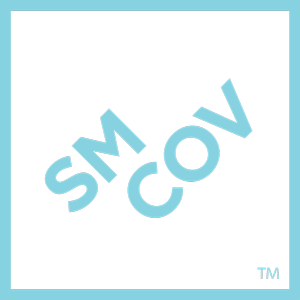 SMCOV represents the foremost training, coaching and consulting solutions available throughout in the world. Our experience and expertise provides a unique starting point for anyone looking to implement, license or expand top-quality programs. SMCOV’s solutions are designed to respond to the real-world challenges of today’s organizations. All of the programs in our curated portfolio are highly customizable and available for global roll-out. Intuition is a leading global knowledge management solutions company. With offices located worldwide, we have developed and deployed our award winning products and services to many of the world’s leading corporate and largest public sector organizations for over 30 years. Our unrivaled end-to-end capabilities help our clients optimize knowledge within their organizations to achieve real business objectives. In the global economy, we believe the extent to which companies can process and exploit knowledge is the key determinant in securing competitive advantage. Intuition helps organizations find and utilize knowledge in a meaningful way using a blend of domain expertise, best-in-class learning, and innovative learning technologies. Very often knowledge is trapped within organizations. This often vital insight is never uncovered and its benefit missed. By capturing and sharing this knowledge using Intuition’s solutions, your business and employees can be far more successful. CEB Metrics That Matter™ is the market-leading learning analytics system, combining a world-class evaluation system with powerful analytic tools to help organizations measure and improve their talent development programs. Propel is a global talent management consultancy, helping organisations worldwide to achieve optimal performance by selecting, developing and engaging their people. We apply practical business psychology to help organisations measure, grow and motivate people and teams to achieve excellent outcomes. ISOFP is a non-profit organization established in the USA focused on professional development of financial professionals globally. The organization’s primary focus is professional competency development through certification courses, with a secondary focus of offering various privileges and benefits through membership participation. Applying globally recognized standards, ISOFP members include opinion and thought leaders as well as professionals at all levels. ISOFP is governed by Governing Council whom are nominated and elected members. Further, the ISOFP Global Advisory Board establishes professional standards, ethics and code of conducts. CWMI is founded to serve the wealth managers in the region by promoting the highest standards of competence, ethics, education, and professional excellence for the benefit of investors and society at large. The GAFM ™ was established in 1996 by the original founders of the Chartered Graduate Leadership Society. Our Advisory Board is composed of members from over 50 nations including: CEOs, Executives, Professors, Deans, and industry experts from around the globe. We desire to raise education standards and ethics in the business and management industries. We are a Globally Recognized Certification Body and Accreditation Council allied with top colleges and e-learning providers to provide computer and technology education. Members use our Designations and Certifications on business cards, website, and promotional materials. We have global social networks and members may post or find jobs with our custom Job Board. CEC works in conjunction with Top International Business Schools to approve their accredited programs and exams as qualified for a Certification Path. We also provide networking, seminars, job searching, news and continuing educational opportunities.